If potholes are any measure, it's been a hard winter in Virginia. AAA reports that it responded to nearly 9,000 tire-related calls in January and February, up 10 percent from those two months in 2013. AAA Mid-Atlantic says the snow and cold have created vehicle-jarring potholes on road surfaces around Virginia. In February alone, the auto club fielded nearly 4,000 calls from drivers who blew a tire or reported other damage because of potholes. 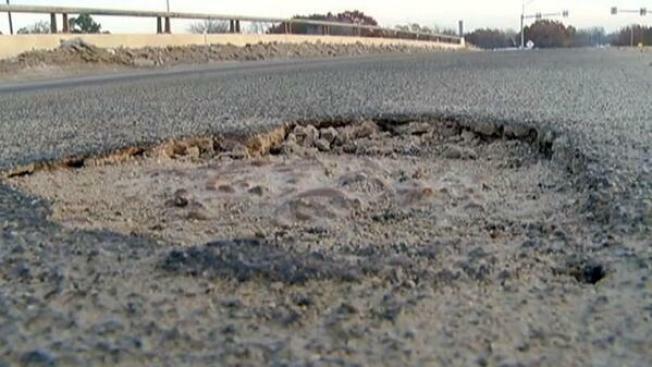 The AAA advised motorists to slow down so they can detect and avoid potholes.